This pair of Mini's share a bit of a special story. They are both the same year and same color. 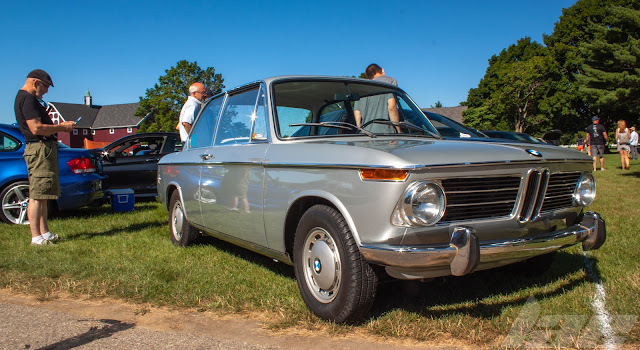 Owned by Couple Paul and Molly. 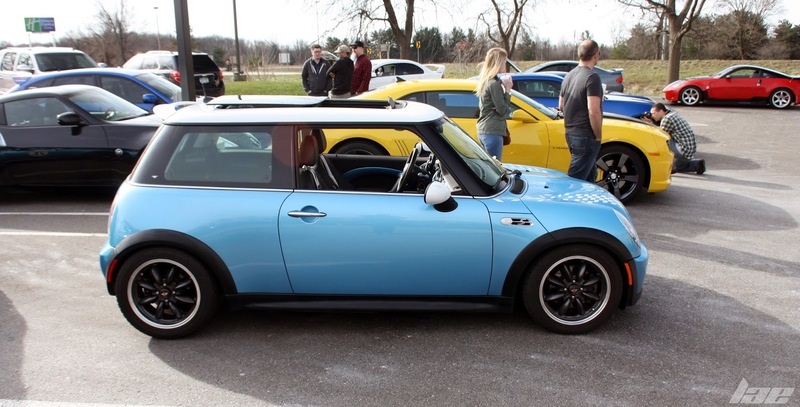 Both are avid petrolheads, with an interesting stable of cars including these Mini's, a CTS-V Wagon and a Morgan Three-wheeler. 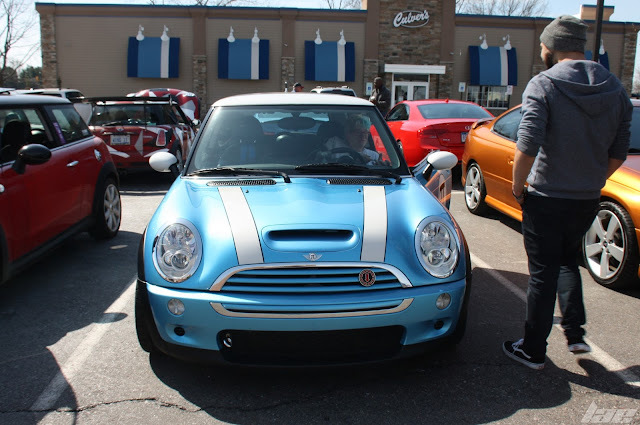 Paul, from Michigan, had this 05 Cooper S in electric Blue. 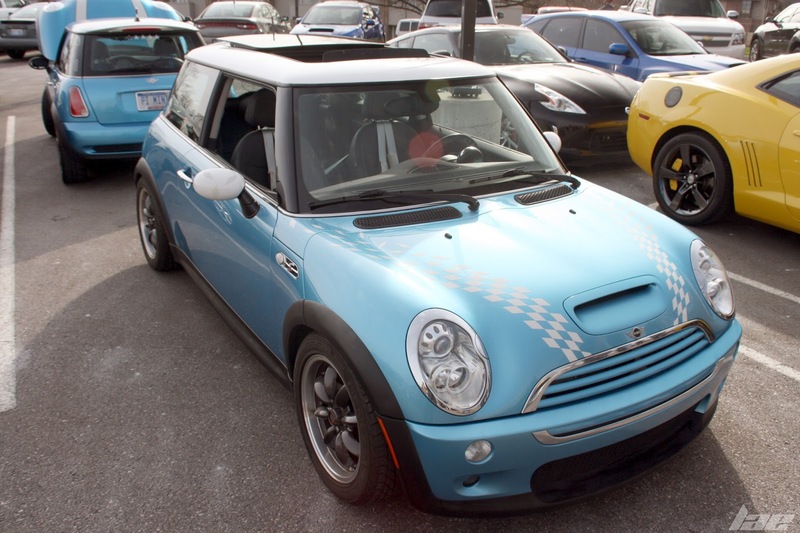 Molly, from Tennessee, and a regular at the Tail of the Dragon, had this nearly identical 05 Cooper S in the same Electric Blue. 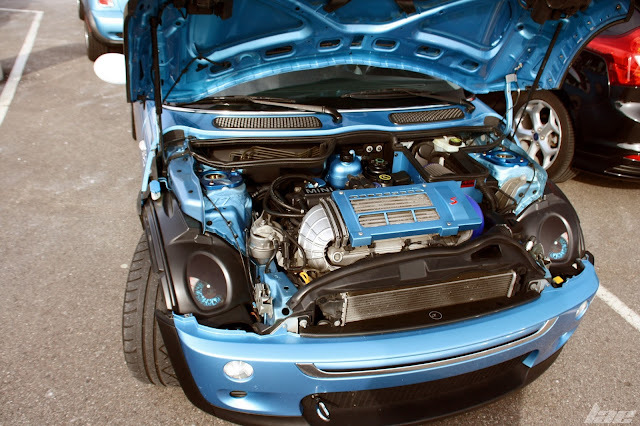 Both are the Supercharged variants, though Mollys is a bit more modified. Molly tells me she needed a racing number, and she always liked the "Meatball Number on the door. 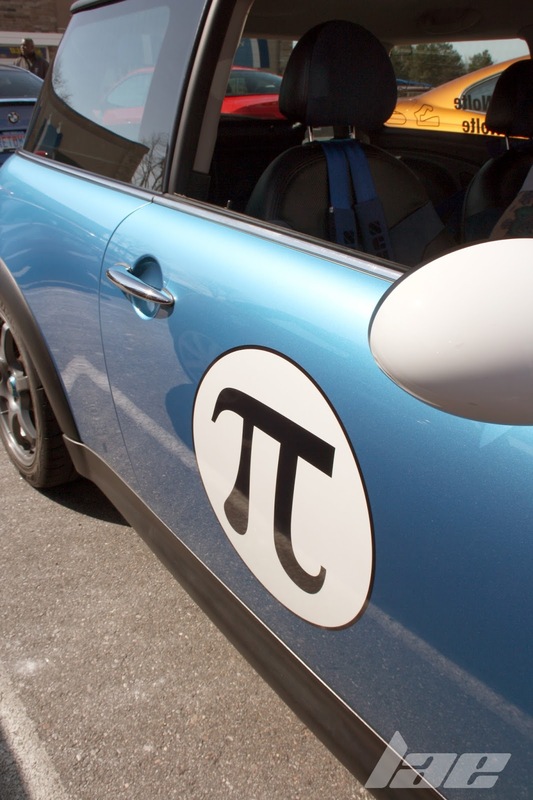 She thought that she needed an unusual number to go with her, as she puts it, "Unusual Personality", so she went with 3.14, or Pi, as represented with the "Pi" symbol. The two met on a Michigan MINI owners forum that she heard about on the 2006 "MINI takes the States" rally. They met in person at an event in 2008 called "Mini's on the Dragon". 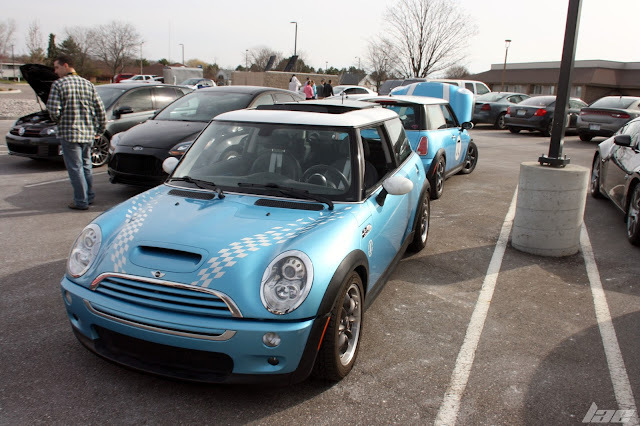 They both had matching Minis before they even met. 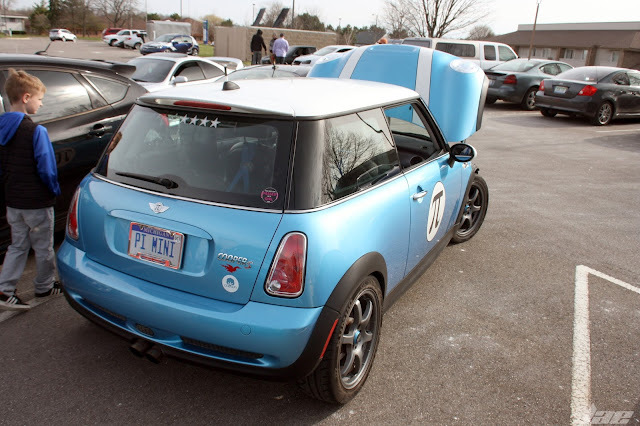 both of them have taken their Minis to many track days and frequently, back to the Tail of the Dragon. Molly tells me they even had wedding photos taken at the famous "Overlook" pull-off spot along the Tail of the Dragon. Molly sent me a link to a post she made on her Blog about the 'Dragon back in 2007. 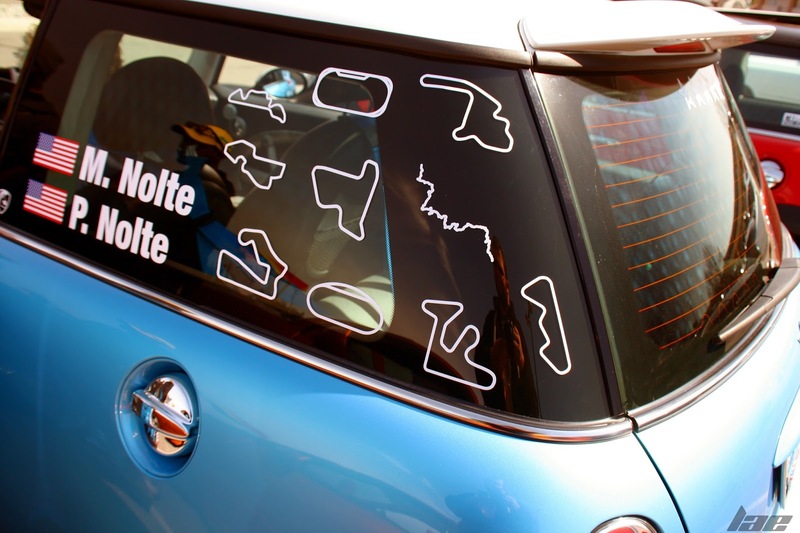 She also has some other posts about her cars on the Blog as well. Thanks for reading this. 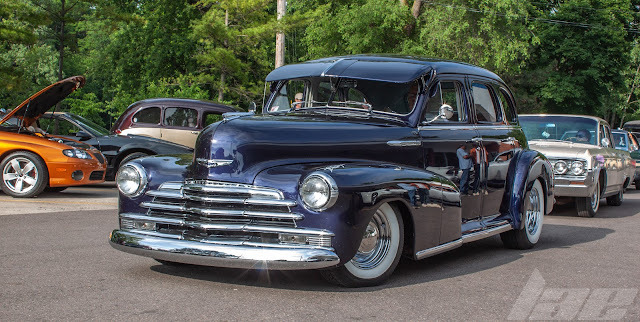 Be sure to +1 this post, follow me here on Blogger as well as on my social media pages, and share this post.